While the heterogeneity of influenza A infections has been understood for some time, the impact of minor strains on overall infection and transmission rates has been underappreciated. Now, a team of researchers led by scientists at New York University’s College of Global Public Health has discovered evidence strongly suggesting that these minor flu variants, which are not typically targeted in vaccines, carry a bigger viral punch than previously realized. The investigators examined samples from the 2009 flu pandemic in Hong Kong and found that minor strains are transmitted along with the primary strains—replicating and eluding immunizations. The NYU researchers performed whole genome deep sequencing of upper nasal cavity swabs taken from confirmed 2009 Hong Kong flu cases and their household contacts. This method allowed the research team to not only identify variants in flu strains but also quantify what was being transmitted between infected individuals. 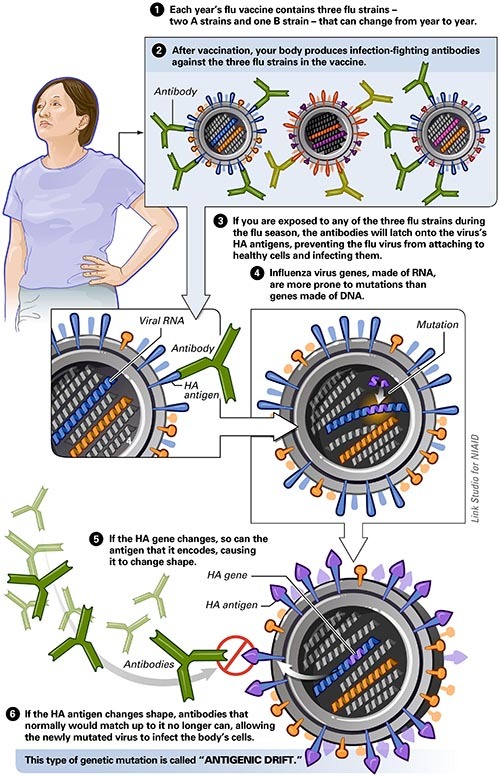 The findings from the study showed, unsurprisingly, that most of the infected carried the dominant virus—H1N1 or H3N2. However, in addition to the dominant strains, all patients carried minor strains and variants of the major and minor strains. Even more surprisingly was how readily these variants were transmitted across the studied individuals. “The combination of unique data, sequencing approaches, and mathematical methods create a nuanced picture of the transmission of diversity during a pandemic,” noted study co-author Benjamin Greenbaum, Ph.D., an assistant professor at the Tisch Cancer Institute at the Icahn School of Medicine at Mount Sinai.